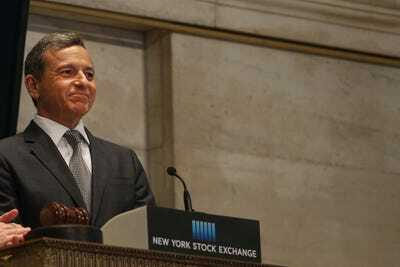 Disney is close to a deal with 21st Century Fox, CNBC reported Tuesday. The news sent shares of Fox higher while Disney slumped. 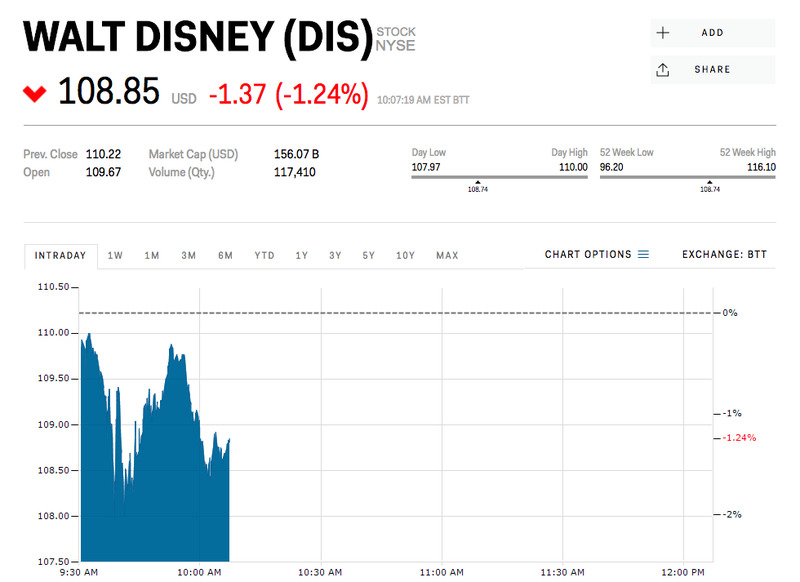 Shares of the Walt Disney Co. dropped as much as 1.8% Tuesday morning after CNBC reported the company is close acquiring 21st Century Fox’s studio and production assets. The stock has pared its losses and now trades down 1.24% at $US108.85 a share. It’s not the first time reports of a potential deal between Disney and the Rupert Murdoch-controlled company have surfaced, but this time CNBC says a deal could be finalised as soon as next week, with Fox’s enterprise valued at $US60 billion. The deal would add to Disney’s portfolio of move franchises and production bandwidth as it prepares to yank its content form Netflix and launch its own streaming service. Fox would be left with its news and sports assets. Shares of 21st Century Fox jumped 3.8% on the news to near $US34.45 a share. The valuation would be a slight premium to the company’s $US58 billion market cap as of Tuesday morning.